While there are not a lot of things you can do around the landscape in winter, you can prune your deciduous trees. Cross branching, storm damage and general form of your trees can be more easily seen at this time of the year. Debris clean up is also easier as there are no leaves to deal with. 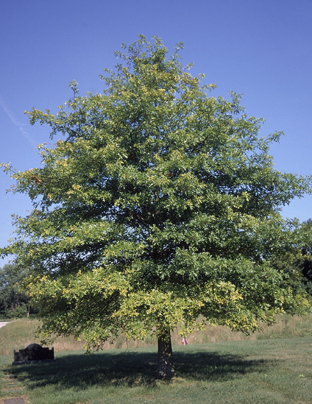 It is critical that you prune your valuable oak trees only in the winter months when there is no insect activity. Oak trees are susceptible to various fungal diseases. These diseases are primarily transmitted by insects (particularly “Picnic Beetles”) that are attracted to the sap in branch or pruning wounds. The resulting Oak Wilt disease can in many cases can be lethal to the tree. As added insurance against infection, we paint the prune site with outdoor rated latex paint. Please feel free to contact us with any tree care or landscape questions.